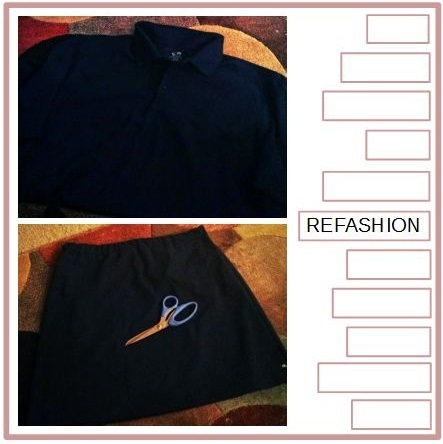 A few nights ago while looking through Pinterest, I found a “quick” guide on how to refashion a shirt into a skirt with POCKETS! I couldn’t find the full tutorial anywhere, so I just depended on the four-step graphic. Yup. Four-step graphic. The graphic also boasted the refashion could be completed in 30 seconds. SECONDS?!? SECONDS?!? 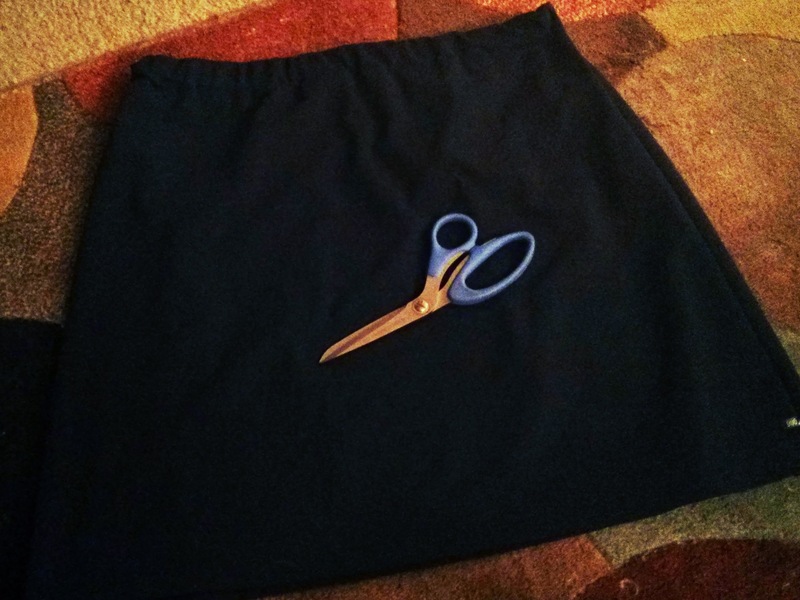 If I know what I’m doing and I’m having a good day, I could probably complete a simple elastic waistband skirt in less than an hour — maybe 30 minutes. A skirt in 30 seconds. Nope. No way. Cannot happen. 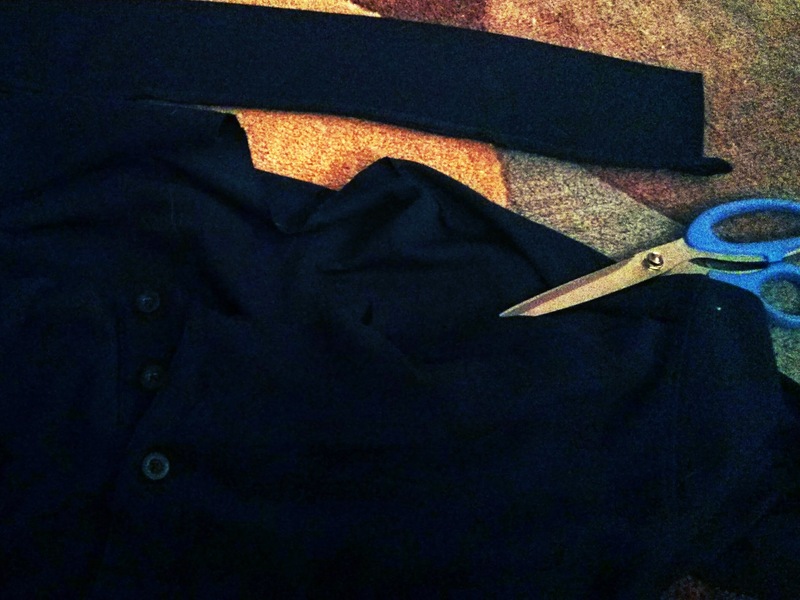 Because I’m for all things easy, lazy, and quick, I decided to try this four-step method of turning a shirt into a skirt. After picking out a shirt to refashion and 30 seconds later, I was nowhere near to twirling around in a skirt. 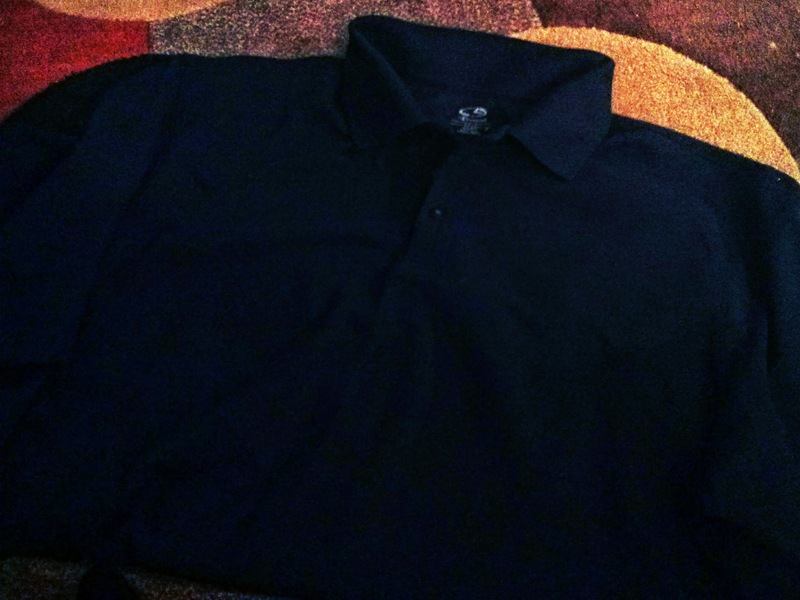 However, in the graphic’s defense, I might have picked the wrong shirt to use — one of my husband’s old polos. After snipping off the collar, I cut open the shoulder seams from the neckline to the sleeve seams and sewed the sleeves shut. The fourth and final step per the graphic is adding a snap or some sort of tie to the skirt. However, the waist area was HUGE and the “pockets” distorted the side seams. In short, my skirt was nowhere near to being completed and looking like an actual skirt. After spending 30 minutes or more trying to fix the skirt, I scratched all four steps. I laid the skirt flat and simply snipped out a new skirt outline, keeping the shirt’s original hem intact because this girl isn’t fond of hemming. 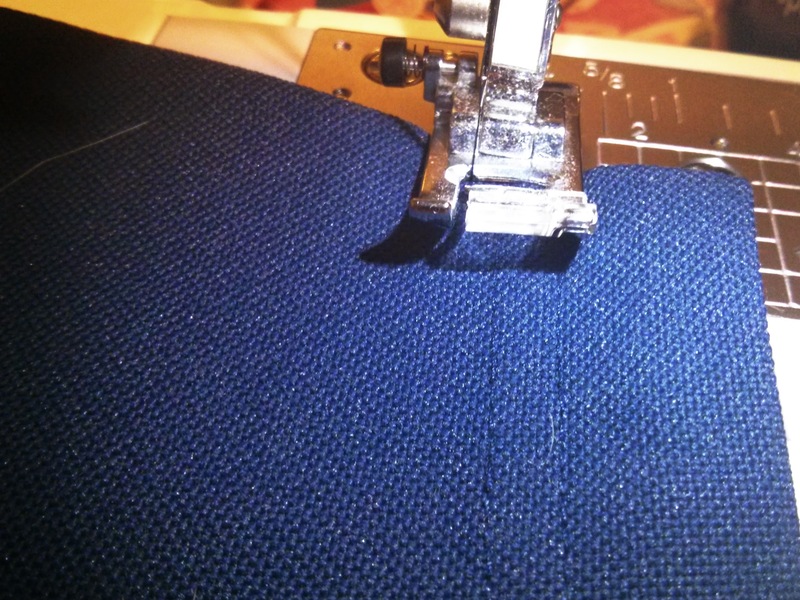 I created a casing for an elastic waistband and simply sewed the side seams. Once the elastic waistband was completed, the skirt was completed! I might try the four-step method again, but I highly doubt I can finish it in 30 seconds. P.S. How long has this sewing hack been around?!? Thanks to amazing holiday sales, I collected a ton of thread cones (cone threads?) but they’re a little too big to spin around on my sewing machine. 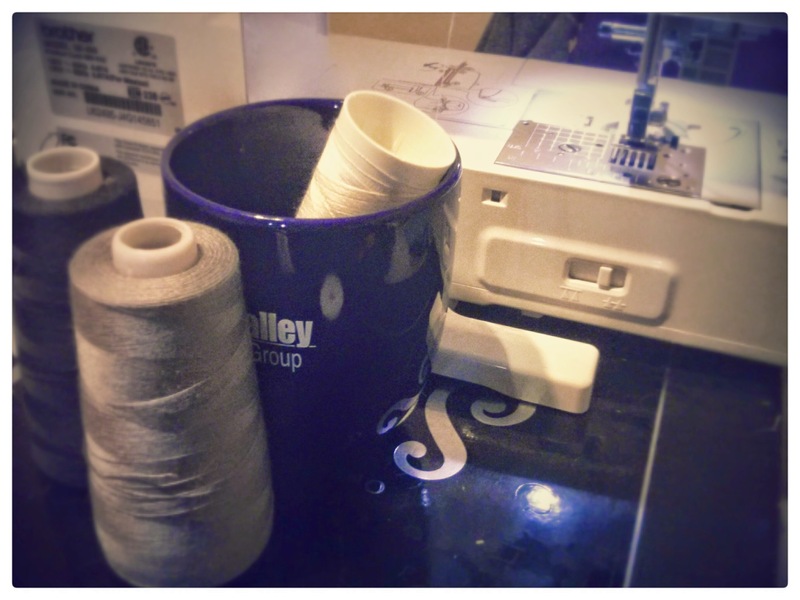 Until I discovered the sewing hack, I just let the cone shuffle around behind the machine. I had no idea a coffee mug was the simple solution to contain a thread cone. How awesome is that? Pretty awesome.